Are Live NBA, NFL Games Coming to YouTube? Google is in negotiations with the NBA and NHL to stream games live via YouTube, reports Bloomberg. According to Gautam Anand, Google’s director of content partnerships for Asia Pacific, the company is in talks “with most pro sports leagues,” and hopes to deliver more live sports content during the second half of this year. Such partnerships could help boost viewership and ad revenue, and give YouTube a reputation for professional content. The video-sharing service is best known for amateur or user-generated content–like, say, videos of dogs skateboarding–and lags behind competitors Netflix and Hulu, which feature movies and TV shows. In Fast Company‘s recent profile of Google’s video service, some suggested it was this lack of professional content that was keeping YouTube from profitability, though revenues have increased sevenfold since 2007. And deals with the NBA and NHL could give YouTube access to content neither Hulu nor Netflix have: live streaming television. YouTube, which runs ads on videos more than 3 billion times per week, has made a name for itself as a destination for live content, from presidential addresses to Arcade Fire concerts. Adding pro sports to the mix would only bolster that image. 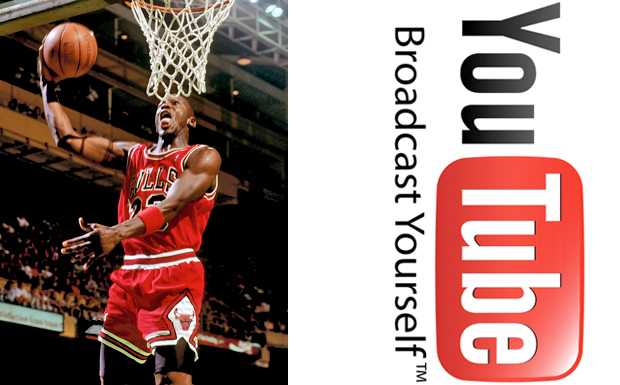 Right now, sports leagues like the NBA and NHL do have channels on YouTube, but they feature mostly short clips of content re-purposed from TV. Live-streams of full games will certainly be more interesting to watch than recaps of the day’s top dunks and hockey fights. Right?